Is it fall yet? 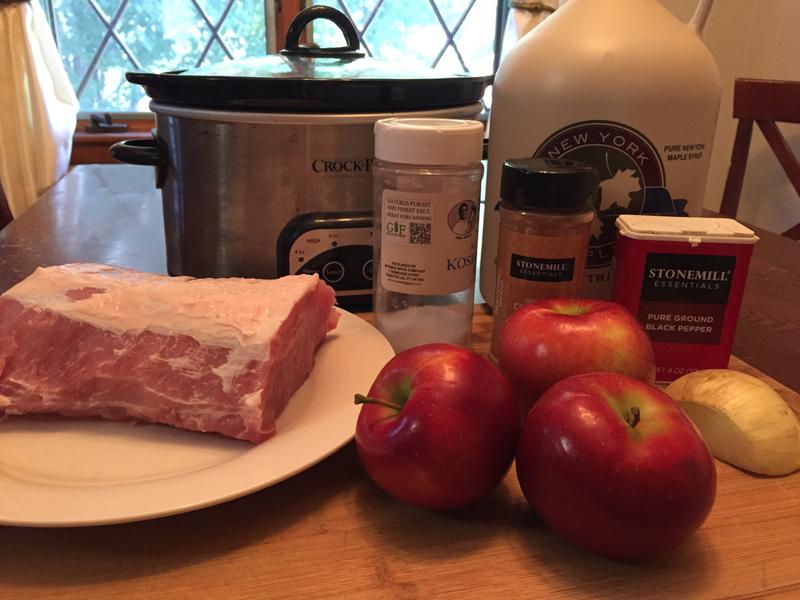 Whether it is or not, this Apple Cinnamon Crockpot Pork Loin will fill your need for an amazing comfort food dinner. 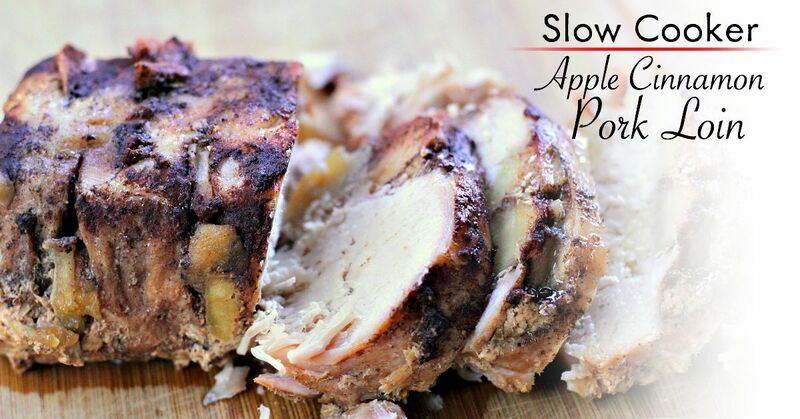 Apples, cinnamon, maple syrup all work together for a great sweet and savory meal. I thought about using brown sugar for the sweetness, but I figured maple syrup would be better for a couple reasons. 1, it's maple syrup, which is awesome. And 2, you always need a bit of liquid to start a roast off in the crockpot, so this helps. Not too many ingredients. Note that I used only 2 apples, not 3. 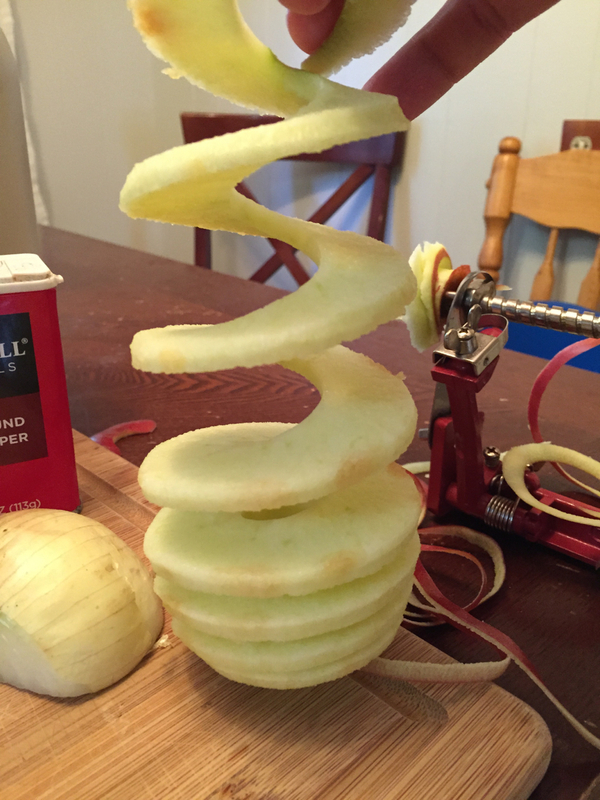 By the way… do you have an apple slicer? If you don't, get one and it will change your life in the fall! Each apple is perfectly peeled, sliced and cored, and it takes about 15 seconds per apple. Here is the one I use and I LOVE it. 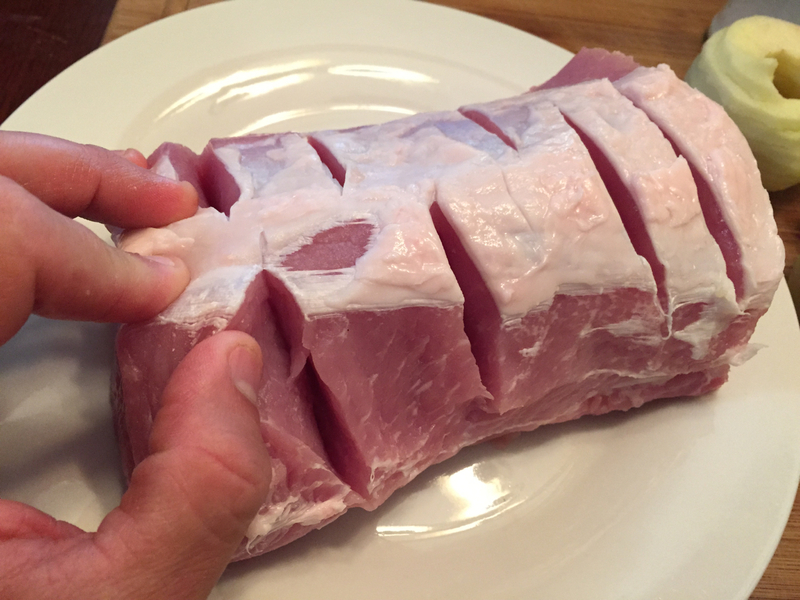 Next, cut several slits in the pork. This is where you will place the apples. Just shove a bunch of them in there. 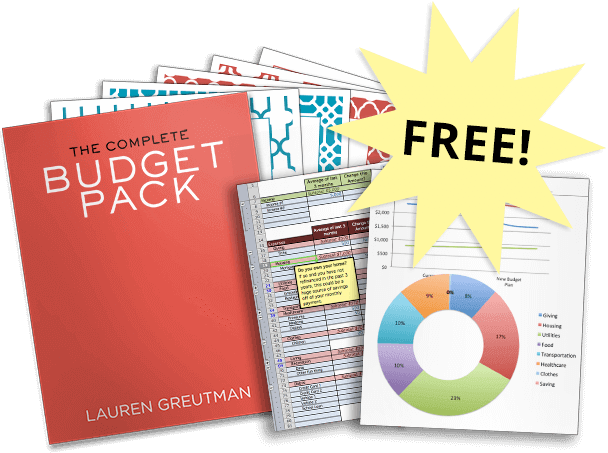 It doesn't need to be pretty, and you won't use all of them at this step. Then simply top with everything else, including the remaining apple slices. Cook on medium for about 6 hours, or low for 8. 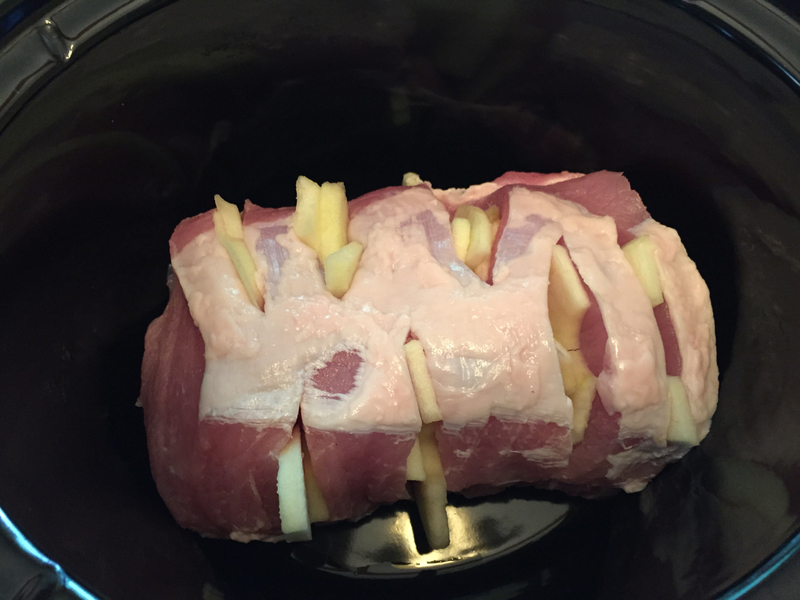 Remove from the slow cooker, let it rest for a few minutes, and then slice and serve. 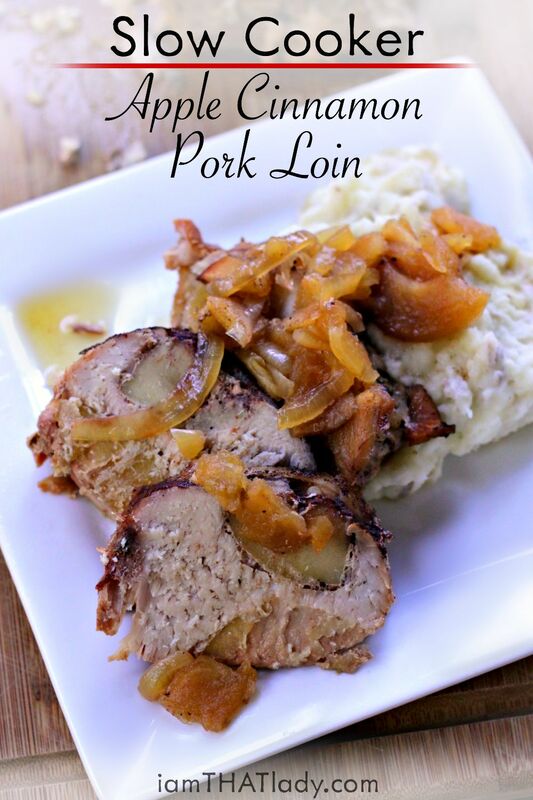 BONUS: Here are 6 more Pork Lion Recipes with all different flavor profiles! 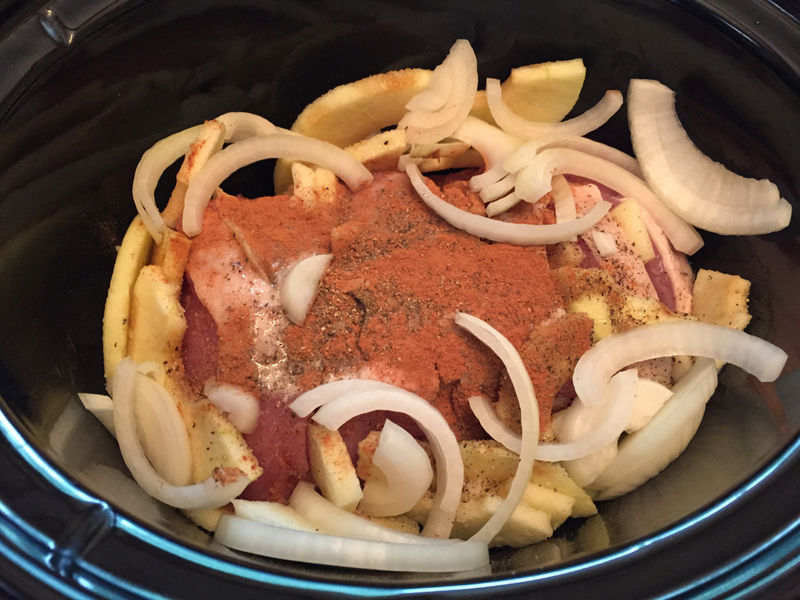 Would it have been better if i rubbed the spices on the loin and browned the meat before i put it in the slow cooker? 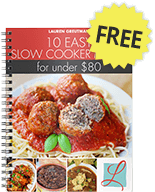 Hi Jenny – in the slow cooker, I honestly don’t think it makes much of a difference. All the flavors kinda mix together no matter how you put them in. What kind of apples were used? This was super easy to prep & great results. Very tasty meal…this recipe is a keeper. 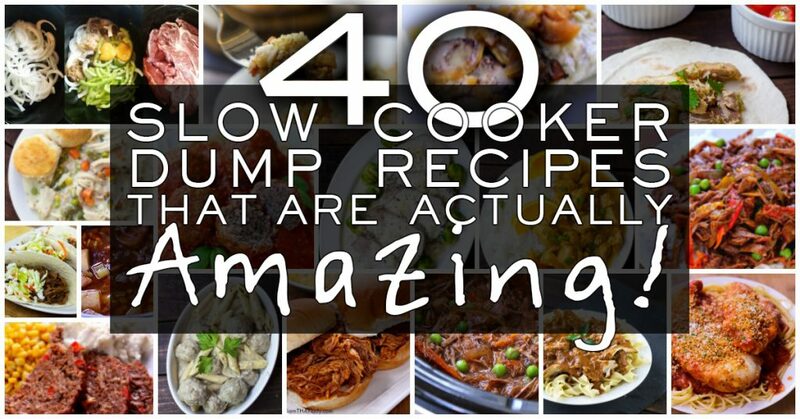 Hi there – my slow cooker only has high or low… do you happen to have a time estimate for the high setting?